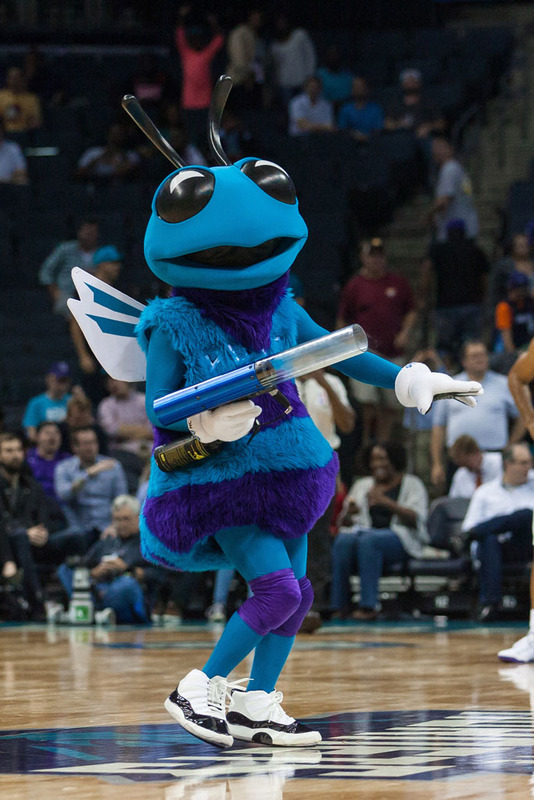 The buzz is back in Charlotte, where Michael Jordan's franchise has reassumed its old Hornets identity. The buzz is back in Charlotte, where Michael Jordan's franchise has reassumed its old Hornets identity. 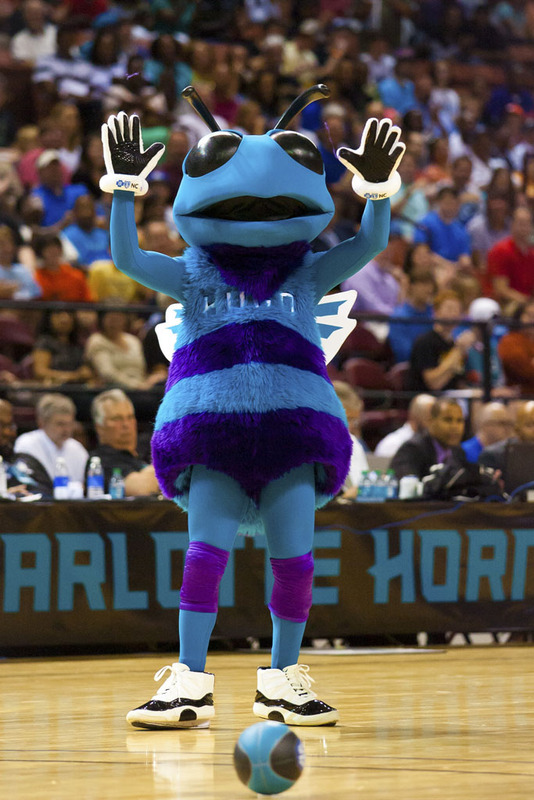 As part of the rebranding, the Hornets also brought back team mascot Hugo, who has been taking the court at the Hive in a classic pair of kicks. As seen this past summer, Hugo is wearing a mascot version of the 'Concord' Air Jordan 11. Just one of the perks of your CEO also being the biggest sneaker endorser in the world. Take a look at few photos of Hugo wearing 'Concords' below.